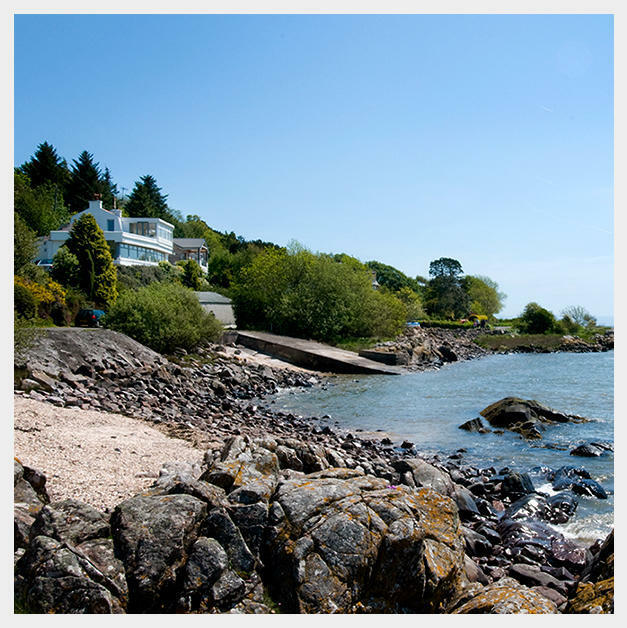 Roughfirth House enjoys a waterfront position in the yachting village of Kippford on the Colvend Coast, SW Scotland. We are conveniently situated just 44 miles from the English-Scottish border. Roughfirth House enjoys a peaceful environment within walking distance of beaches, woodland, tea rooms and public houses serving excellent quality food. Located in a National Scenic Area, the house backs onto National Trust woodland and has panoramic views across Rough Firth estuary to Rough Island and the Solway Firth beyond. Roughfirth House is situated in an area known as 'The Scottish Riviera' and offers some of the most breathtaking coastal views in South West Scotland. There is something very calming about Roughfirth House. Choose between the Deluxe Double (sleeps 2) and The Suite (sleeps 2-4). 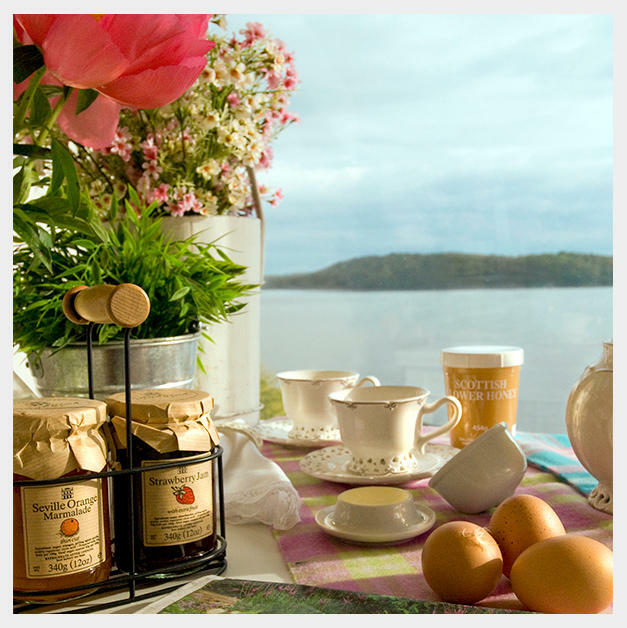 Enjoy breakfast in our dining room with wall-to-wall windows overlooking the estuary. "Stunning setting with excellent breakfasts and exceptionally comfortable bed. Beautiful!" 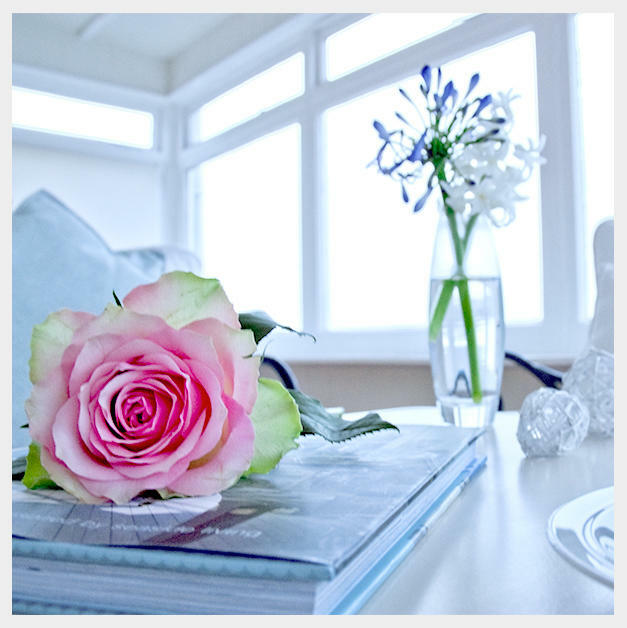 "The views are so unbelievable from your lovely warm room you don't need to go out. I love it here." "Fantastic holiday! Beautiful scenery, gorgeous views and friendly and attentive host." "We thoroughly enjoyed our visit. Would not hesitate to spend more time in this beautiful setting." "This is our 3rd stay at Roughfirth House and we love it! We can't wait to visit again." "One of the most delightful B&B's we have ever stayed in. Our room was 'palatial' and views outstanding." "The whole stay was relaxing and peaceful. We were reluctant to leave." Become a VIP Member and you'll benefit from exclusive offers throughout the year.